…a Samaritan, as he traveled, came where the man was; and when he saw him, he took pity on him. He went to him and bandaged his wounds, pouring on oil and wine. Then he put the man on his own donkey, brought him to an inn and took care of him. Most of us know the story quite well, but have you thought exactly what it means? What would it mean to you if you were that man lying by the side of the road, desperately in need of help? How would you feel to be ignored by the Pharisee, a priest who has taught you how to love God and others? And yet this “godly” man moves on without another glance. He’s finding himself too busy. Would that affect your faith? It shouldn’t. The Levite also passed by, another religious person who didn’t want to get involved. Another person who believes we need to love God and others, though he doesn’t himself have God’s love in him to share. But how would you feel as you lay there, when a Samaritan, a foreigner who is considered an outcast by your Jewish people, finds you – a Jewish man – and takes pity? In spite of threats from more robbers, he pauses in his travels and takes time to tend to your needs. Think of the relief! What a comfort to be cared for by a compassionate person as he treats your wounds in sympathy with your pain! He pours on healing oil and wine from the provisions he carries, not just dabbing these on, but pouring them – generously. Doesn’t that bring to mind the great love God lavishes on us? 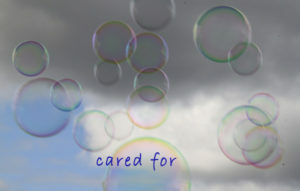 (1 John 3:1) The Samaritan had a heart like His – full of love, ready to care for you in every way he is able. This is only a fictional story, a parable told by Jesus to make a point. But as you put yourself in the place of the injured man you can see how important it is for people to obey God’s command to love others. You can see how some people, like the Pharisee, don’t always do what we might expect or hope them to do. But there are others like the Samaritan, those we might least expect, who do obey, who do have compassion. Through such individuals we can experience the great love of God. God works in the hearts of many – even those considered outcasts by society.